JASPER, Ga. – A Vaping Field Test with the potential to examine the chemical composition of solids, powders, liquids, and gels utilizing a handheld laser reader and an updatable database of substances was presented by Clint Anderson of the company Safeware during the Board of Education meeting held on Friday, April 12, 2019. 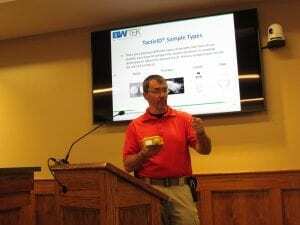 Clint Anderson of Safeware holding a TacticID model 1064. The device, called “TacticID”, uses something called “Raman Spectroscopy”, which according to Anderson is the process of firing a laser into a molecule to receive a unique fingerprint for the substance being monitored. Each substance will have a unique fingerprint. If the substance being read by the laser on board the device is known to the device (utilizing its updatable software dictionary), then the results will be displayed to the operator of the device. If no known substance is found, then the results can be sent off to Safeware for further testing. 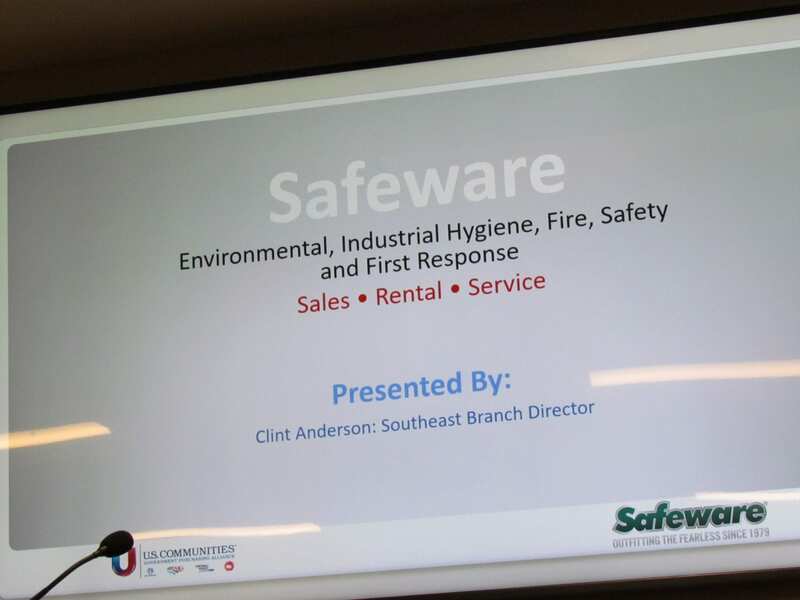 Any additional substances discovered will be added to the device via a free software update from Safeware, meaning that new and upcoming substances can be added at no additional cost to the county. 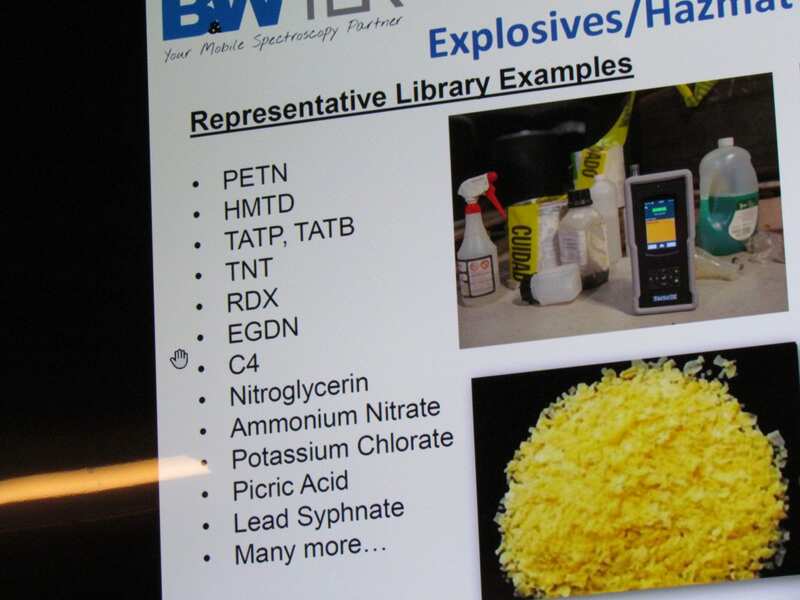 Examples of explosives and hazardous materials detected. Anderson cites that there are over 10,000 agents currently indexed by the device, and not all are drugs. The TacticID also picks up on explosives and hazardous chemicals, and unlike previous models, the showcased model 1064 also has a much stronger laser with the ability to more easily determine the composition of darker materials. The laser is so strong, in fact, that it can read through bags, vials, etc. 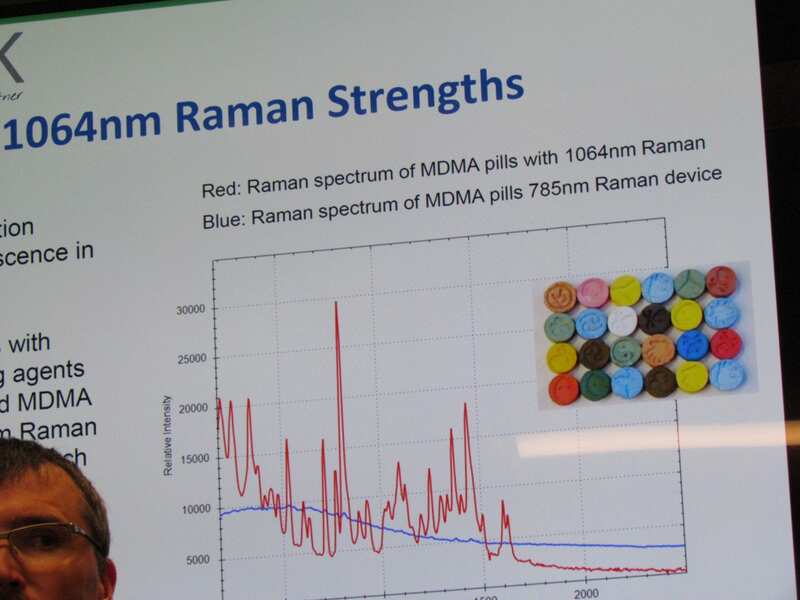 Any drugs examined by the device will return different color codes that quickly determine their federal scheduling. Substances deemed not hazardous will return a green screen. A yellow screen represents drugs that fall under schedules three through five, such as Tylenol containing codeine, ketamine, Xanax, Ambien, Lyrica, etc. Substances deemed most hazardous, which fall under federal scheduling one and two, will return a red screen. These substances include heroine, cocaine, meth, oxycodone, and even marijuana for reasons unknown to the author. The TacticID device is ultimately a potential solution to the dangerous unknown substances being found within vaping products throughout the county, as well as others throughout the state. Anderson cites that the device would cost the county $43,831, though this includes all adapters, all future software and firmware updates, etc. The device would also make it less dangerous for law enforcement agents to check for potential hazardous materials and dangerous narcotics, as they can use the included adapters to scan the substances in question without needing to come into contact with them. The Board of Education wouldn’t be the only ones to foot the bill. Sheriff Donnie Craig states that there would be other potential county and state funding sources as well, as the device wouldn’t be used just for incidents related to the school system. Updates will be posted as we receive them!